‘I went over to the other side of the Fluss,’ he said. Steady drips of water punctuated his words with a hiss each time they dropped on to the hotplate. ‘To see the damage from the storm. It’s worse than I imagined.’ He sniffed. ‘The rest of the world has gone.’ That’s how he said it; just like that, matter-of-fact. 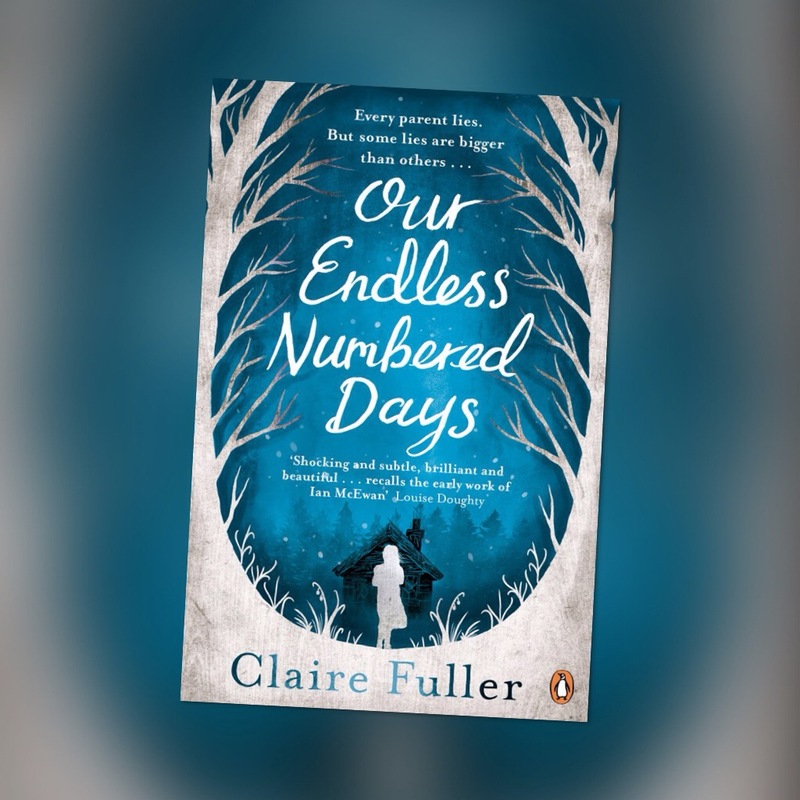 Our Endless Numbered Days by Claire Fuller is another ones of those books that I find difficult to put into one category. It’s part post apocalyptic survival, part Fairytale, part family drama. It’s nostalgic, dark, romantic and sordid. It’s brilliant and I almost can’t believe that it’s a debut. Peggy Hillcoat is eight years old when her father announces that they are going on holiday while her mother is away. He takes her from London to a remote cabin in the forests of Germany, then tells her a storm has washed away the rest of the world. Believing her mother to be dead, and too scared to cross the river to explore the forest beyond, she spends the next nine years with only her father and his lies for company. Told entirely through Peggy’s eyes, and switching between London in 1985, when Peggy has returned home, and her nine years in the forest, the book has an incredibly nostalgic feel. Peggy is so cut off from life that by her own admission there are parts of her that she has no name for, and some more horrifying events that we can get only the briefest mention of. The evidence is there; of her father’s descent into madness, his confusion over whether Peggy is his daughter or his wife, Peggy’s own way of coping with life in the cabin. But we’re never explicitly told and, like Peggy’s mother Ute, can only piece together the horrors of those nine years after they’ve ended. Honestly, it feels like a book that should be considered an instant classic. It was absolutely incredible. I received an early copy of Our Endless Numbered Days through Netgalley. 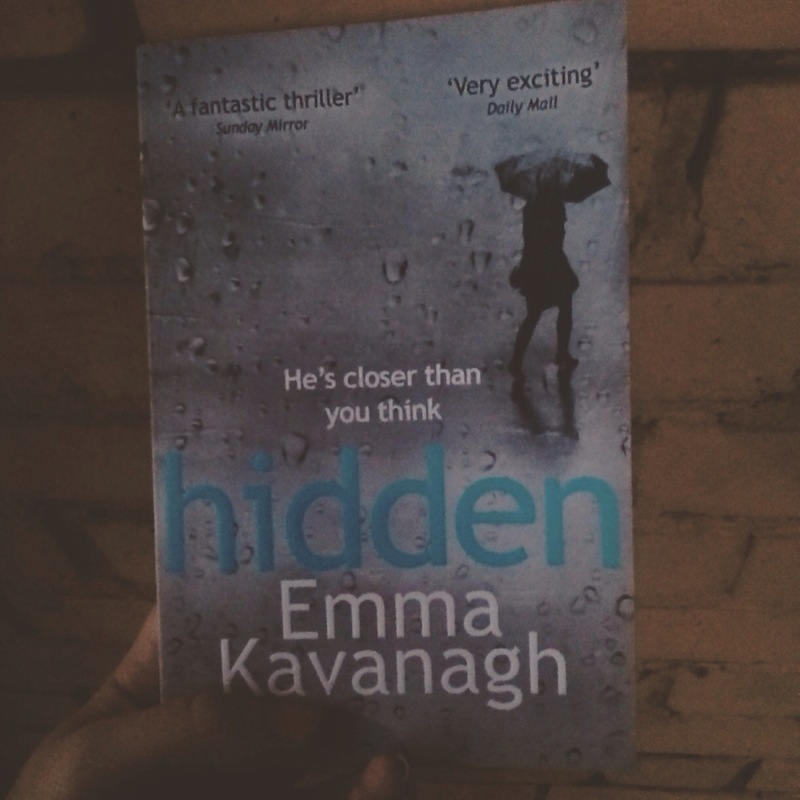 I’ve spent a lot of my commute time this week on a dark platform in the rain, which turned out to be the best place to read this incredible thriller by Emma Kavanagh. A gunman has been seen stalking outside the ward of a hospital. No one has seen his face and the police have yet to catch him. The story revolves around three major characters; Aden, an armed police officer; Charlie, a reporter; Imogen, a hospital psychologist and, unnamed, the shooter. It begins moments after he has open fired in a hospital lobby, the characters somehow connected, before we go back six days and try and figure out what on earth has happened. One of the things I particularly enjoyed was reading a book based in the UK that brought up the subject of gun crime and armed police. I’ve read a few US police dramas and guns are so embedded within the stories that they’re barely even a shock, they’re just there. Yet this story, set in South Wales, makes it clear that here are serious ramifications to gun use in police forces. Aden, one of the main characters and himself an armed policeman, remembers one fateful night telling a newbie that they had never had a shooting on his police force. After the shooting that sets off a major chain of events in the story the officers involved are stripped of their duties pending investigation, given a psychologist and sent on extra training. Emma Kavanagh, a former police psychologist herself, doesn’t sugar coat or romanticise any part of this process, and I think that’s really important. I really cannot stress how great this book was. Despite every fourth chapter being narrated by the gunman, we don’t find out who he is until the final moments, and really nothing is as it seems. The characters are so carefully connected and the story so well plotted that they make sense as an ensemble but are string enough that I cared about all of them individually. It’s a community drama, told without romanticising violence or anger, that is wholly believable and ultimately thrilling. It’s been a while since I read a straight chick lit book (that is, one that didn’t also have a drama, mystery or thriller element to it) and I really enjoyed this one by Carol Scott Maloney! The writing was wonderful and I’ve definitely added it to my list of examples to pull out whenever anyone dares to trash chick lit. It didn’t suffer from the overly formal, unnaturaltone of some first person narratives that I’ve come to fear and was a perfect voice throughout. Carol Scott Maloney has captured the voice of her narrator perfectly! I really liked Rebecca, her gaggle of friends, her boyfriend Steve and even her ex, Luke, whose presence throws a spanner in the works of Rebecca’s relationship. 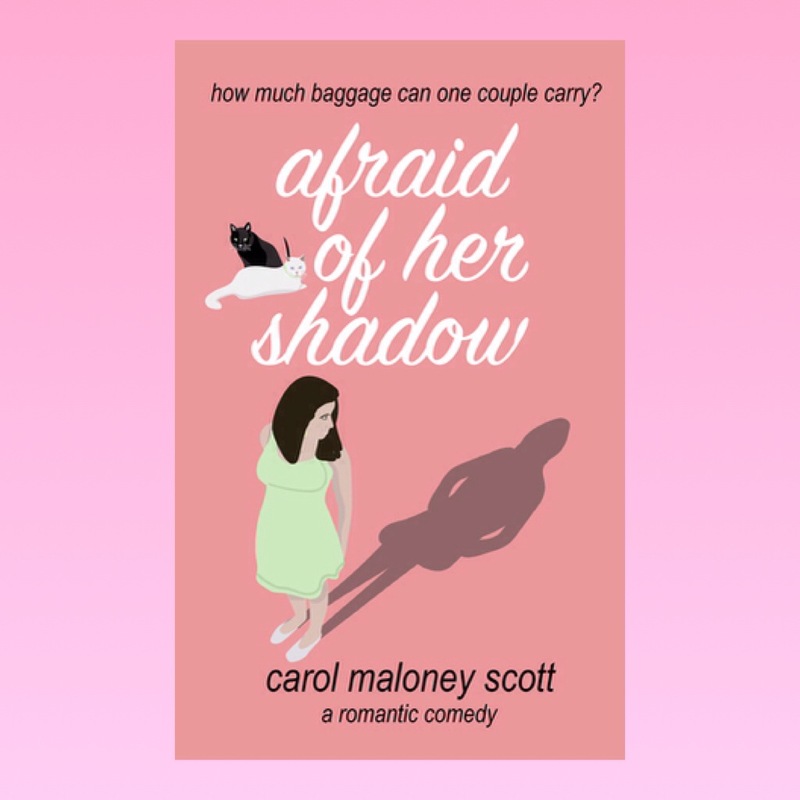 Afraid of Her Shadow is chick lit at its best; witty, a host of loveable characters and an ability to not take itself too seriously. 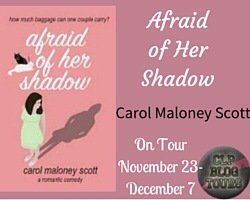 Be sure to check out the rest of Carol’s tour with Chick Lit Plus! ‘Then where the hell were they?’ he said. And so marked the first time I started crying at this book. I loved this book for many reasons. Partly because it was a story about redemption, but not in the usual way. On the surface it was a story about Joseph, a fourteen year old boy in foster care after juvenile prison, redeeming himself in the eyes of his peers and teachers. But I think Jack sums it up when he wishes his vice principal could see that Joseph wasn’t like that. He’s fighting against what the adults around him think of him and I think it’s an important message that actually, it’s an adult’s job to try and see the good in every child. Joseph’s story is tragic from beginning to end and, told from the point of view of 12 year old Jack, we get a naive vision of that tragedy. We’re spared the grim details of Joseph’s past, sent out to the milk barn with Jack whenever adult discussions are going on, but it doesn’t make the story any more upsetting. Nor is it not uplifting at the same time. I cried just as much whenever Joseph’s teachers reached out and showed him he had a future. Ultimately it’s a story about love and what it can do for us. All kinds of love from all kinds of people in our lives. It’s about the families we forge and the bonds that we make without coercion and how strong those bonds can be. It’s a book that I think could ring true for a lot of young people, no matter their circumstances. It makes me want to go and give my own 12 year old brother a hug and tell him how much I love him. And then tell him to read it too. 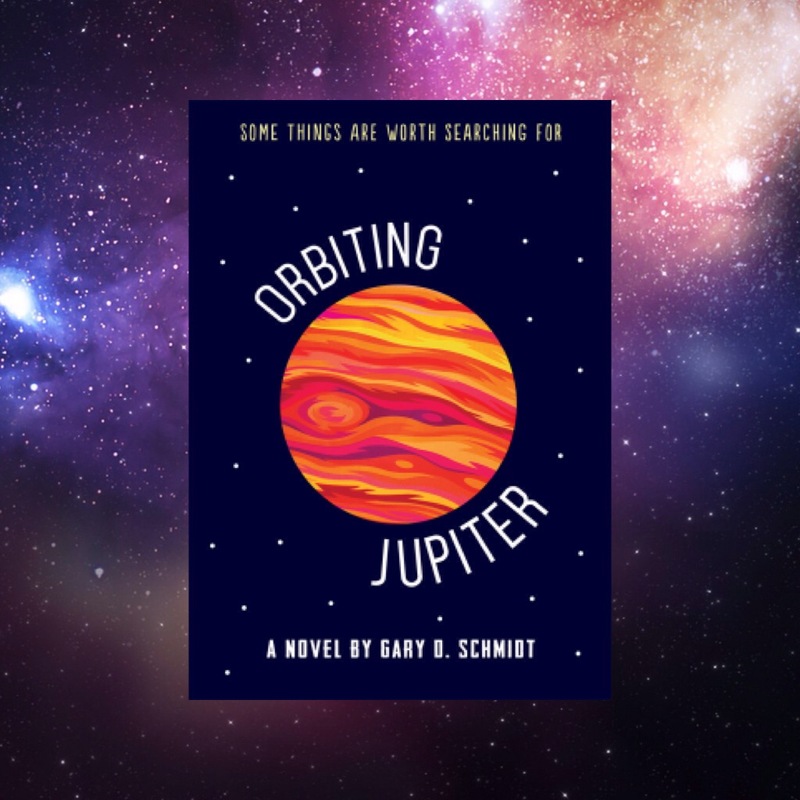 Orbiting Jupiter is published 31st December 2015. I received an early copy through Netgalley. The first thing I have to say about is book is that reading it felt more like experiencing a poem than reading a simple story. Every word felt carefully considered and placed for maximum impact. There was no skim reading to get to the end of the page; your be missing out on a complex internal monologue. It was very different to other books I’ve read recently, but not unpleasantly so. The characters needed little introduction and appeared fully formed somehow when I turned the page: reading this book felt like being a flu on the walk of someone’s memories and somehow Ravinder Randhawa managed to capture that hazy feeling of remembering for us to read. I think part of that otherworldliness came from the viewpoint of an Indian character in a British city. As a white Brit living in a town with a moderately large Indian population I’m on the other side of this; I can’t even begin to pretend to understand the balance of cultures or the daily experiences of my Indian friends and neighbours living here… But I could argue that Ravinder does a wonderful job of expressing those feelings on the page. It’s a very beautiful book, in many ways (it even feels wonderful to read. The edition Ravinder sent me is beautifully bound). And I feel it is also a very important book, existing in that overlap where cultures meet and where people tread a fine line between belonging and observing. 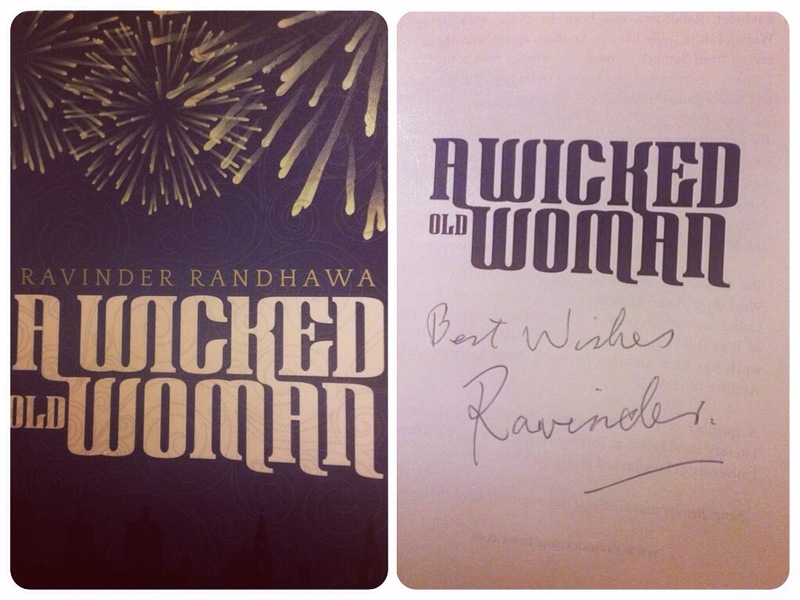 I’m very excited to have kicked off Ravinder’s tour, please do check out the rest to come! A fugitive train loaded with the plunder of a doomed people. A dazzling jewelled pendant in the form of a stylized peacock. And three men – an American infantry captain in World War II, an Israeli-born dealer in art stolen by the Nazis, and a pioneering psychiatrist in fin-de-siecle Budapest – who find their carefully-wrought lives turned upside-down by three fierce women, each locked in a struggle against her own history and the history of our times. And at the centre of Love and Treasure, nested like a photograph hidden in a locket, a mystery: where does the worth of a people and its treasures truly lie? What is the value of a gift, when giver and recipient have been lost – of a love offering when the beloved is no more? 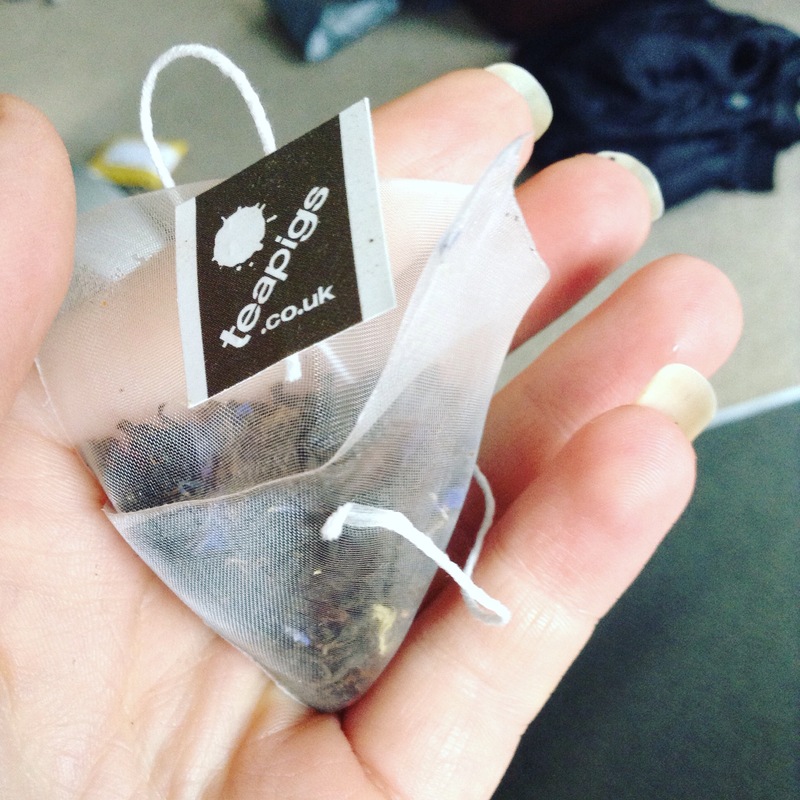 The tea was delicious, I definitely enjoy a stronger earl grey than the regular stuff (one of my biggest qualms about travelling across America was that the only tea option was earl grey) but this stuff was delicious. A very slight hint of liquorice. And it went with the tea so well. I really love this subscription and I wish there was the option to have it more frequently than once a month! He prepared their family for every natural disaster known to man–except for the one that struck. I was originally drawn to this book for its title; I love a good apocalypse story and I at first assumed that this would be one of hose stories. The description told me straight away that I was wrong and, actually, I’m glad because this turned into something so much more. Nicole and Isabel’s parents are gone; their mother having left soon after their father relocated them to a ramshackle Victorian house in the middle of the forest. Their father has gone after her, leaving the girls to fend for themselves against dwindling food, leaking pipes and fast approaching wildfires. 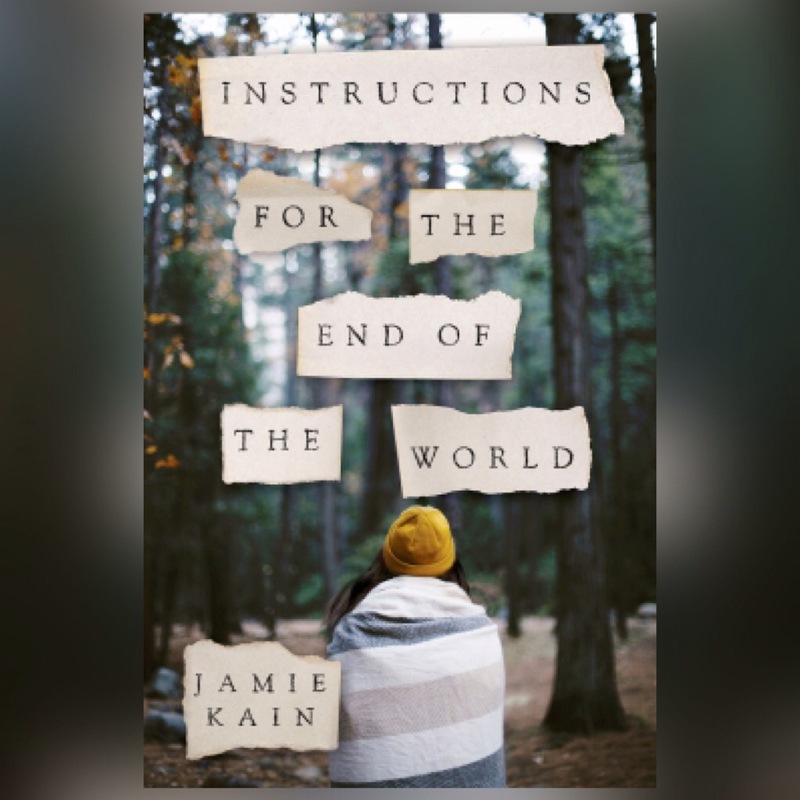 The title comes from their father’s fictional book, a survivalist guide to coping in what a considers an imminent apocalypse. Nicole has grown up with her father’s training, Isabel having rebelled against it, leaving them theoretically well prepared to be left alone, but in no way willing. Nearby is Wolf, raised on a spiritualist commune and desperately trying to forge a life of solitude for himself. 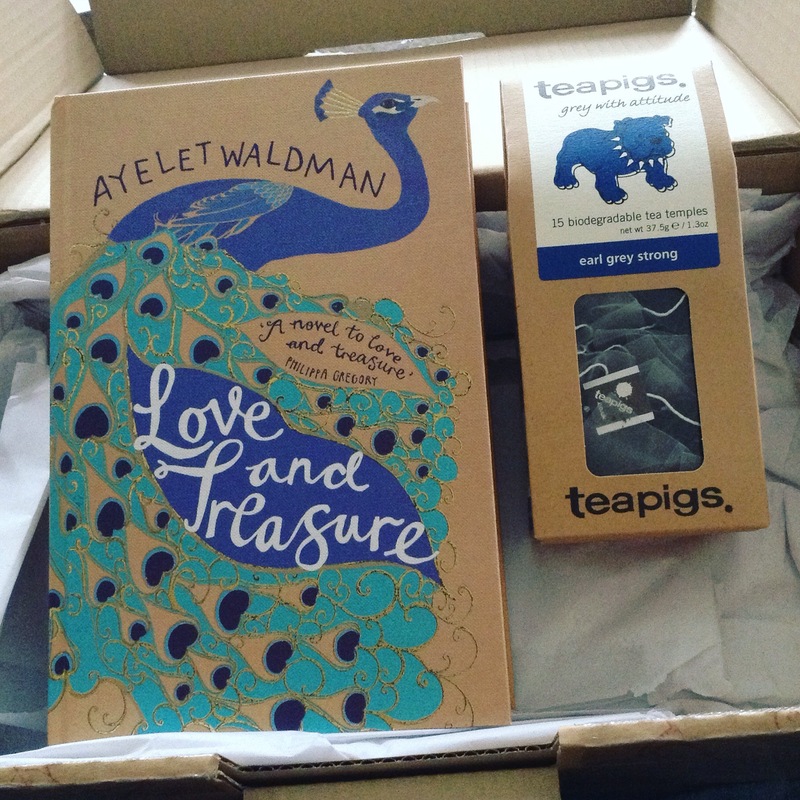 I loved this book, and read it in one evening (plus the time I was in the queue at the post office this morning). It’s definitely a YA book, but the writing is excellent and the story has the right mix of teenage angst, childhood rebellion and darker themes. Think old style fairy tales where the kids are mysteriously without parental supervision, although in this case the kids have all been deliberately abandoned or failed by the adults in their lives. That was perhaps one of the strongest themes in the book: rebellion against the failings of adults. Nicole’s father is a hypocrite whose teachings fail to take into account the most likely scenarios. Wolf’s mother is an addict whose spiritualism has reached new heights,without being reflected in her actions. Together, their children try to find a balance between what they’ve known and what they are learning to want for themselves. It was a very unique book, and I don’t think I’ve read one I can compare it too. The voice of each narrator was strong and distinctive, the story felt complete and satisfying, I really enjoyed it.